A gift of $100 or more begins your annual membership in the Women’s Giving Circle. Gifts can be made any time within the annual giving period of August 1st - July 31st. The number of grants possible are directly dependent upon the generosity of the women in the group - the more money pooled, the larger the impact. Members of the Women’s Giving Circle receive an invitation to the annual dinner which is held the second Tuesday in September. It is an occasion to connect with other women and learn more about the needs in your community. It is also the opportunity to participate in the impact of collective giving. Members will review nonprofit applications and vote for grant recipients. Our principle of “one member, one vote” ensures all members have the same voice. •50% of your gift is permanently endowed with the CPCF endowment fund providing a source of unrestricted grant dollars forever. 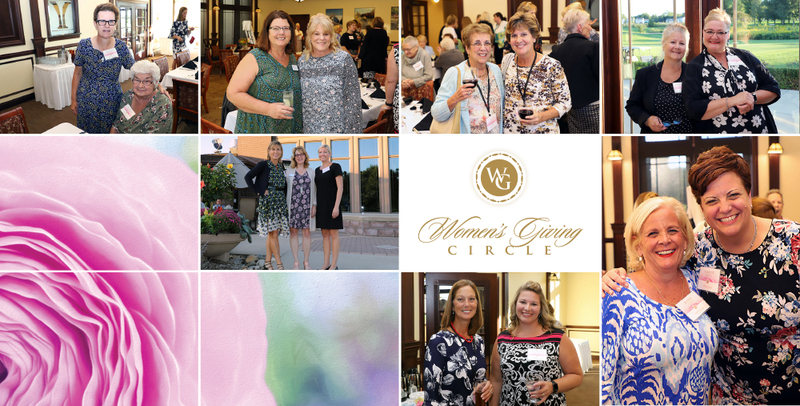 •50% of your gift to the Women’s Giving Circle fund will be distributed at the Women’s Giving Circle Dinner. In order to maximize the benefits of collective giving and impactful grantmaking, the Women’s Giving Circle will distribute grants in the amount of $1,000 each. Nonprofit organizations will have the opportunity to submit grant applications to the CPCF for Women’s Giving Circle grant consideration. At the Women’s Giving Circle dinner, each member can review the grant applications and cast their vote. CPCF staff will tally the votes and announce recipients of the Women’s Giving Circle grants. The more you collectively give, the more $1,000 grants we can distribute. We urge members to encourage local nonprofits to apply for a Women’s Giving Circle grant. Become a Women's Giving Circle Member Today! Download the Women's Giving Circle Membership Form. Download the 2018 Women's Giving Circle Grant Recipients.